This easy beef stew comes together with just 6 simple ingredients! 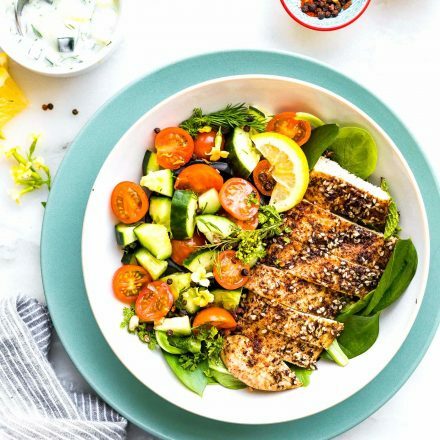 It’s a wholesome, healthy comfort food dinner that’s packed with flavor and real food ingredients. The beef stew recipe is gluten free, grain free, dairy free, and paleo-friendly! Beef stew is the epitome of comfort food. 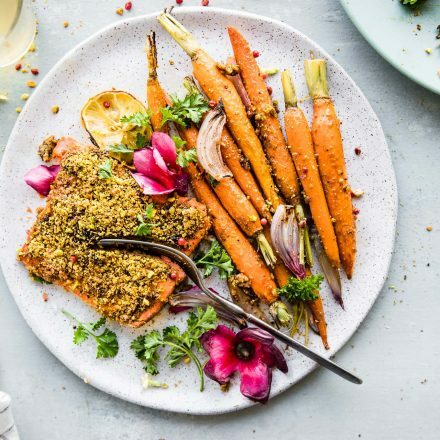 Only, sometimes you just want to throw whatever you have on hand into a pan and let it go.There are certain steps you need to take to get all those rich flavors married together. Am I right? And today I get to share a recipe from a good friend who will teach us just that! 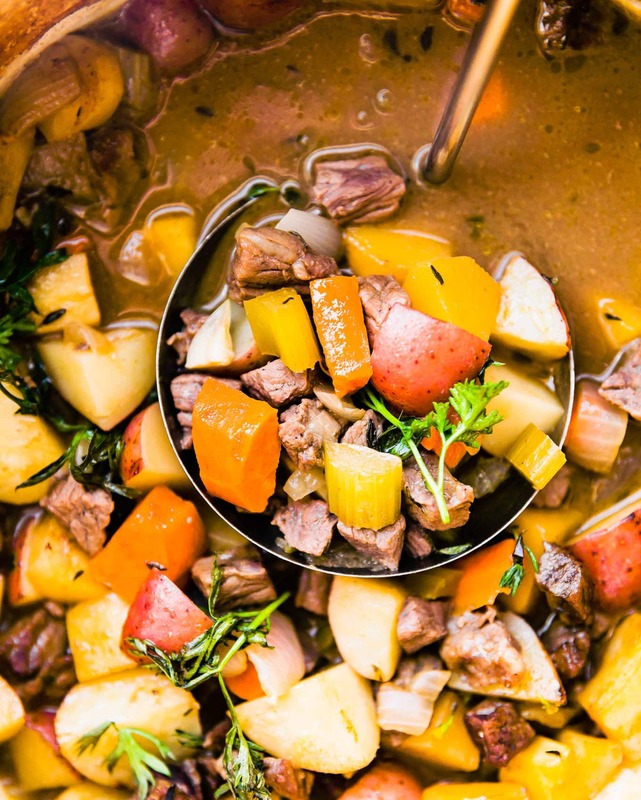 Are you ready for the ultimate tips and tricks for an EASY BEEF STEW? Uh… ya you are! So how do you make beef stew on the stove and give it a rich taste? 2 words. Cast Iron. Or… in this case 4 words. Cast Iron Dutch Oven. I’m clever, I know. But I digress… Let’s talk cast iron cooking. 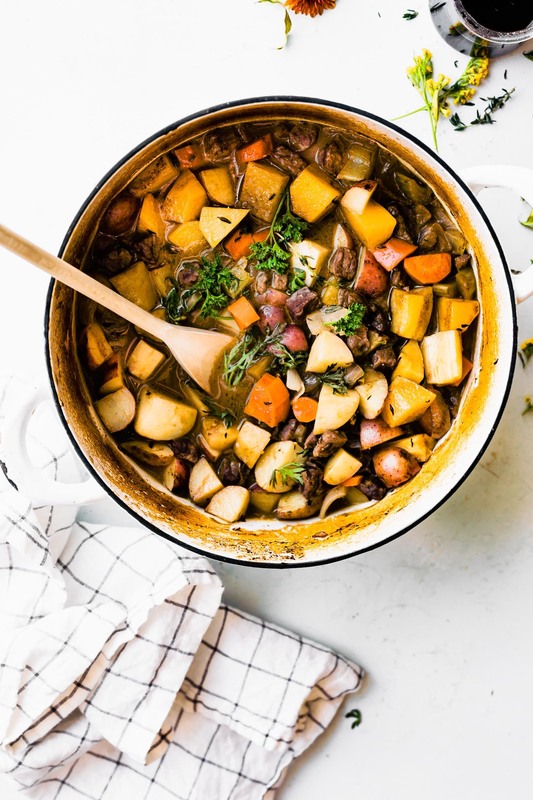 The key to developing rich taste in this simple beef stew is by cooking it in a cast iron Dutch oven! Cast iron cooking allows the flavors of the ingredients you’re cooking to blend together in a way that you won’t get using traditional pots and pans. Plus, cast iron cooking is healthier, because a well seasoned cast iron pan doesn’t require using as much oil. Oh, and let’s not forget the benefits of the additional IRON being added to the beef stew! An easy beef stew recipe. Using 6 real food ingredients. This beef stew is PURE, wholesome comfort food. What more could you want? Well, there is one thing more you could want. The amazing cookbook that the simple beef stew recipe comes from! 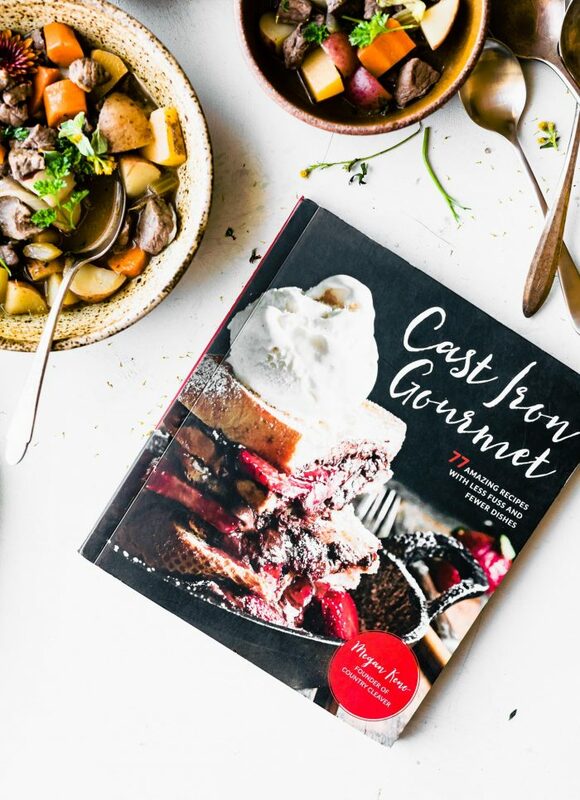 My blogging friend Megan, from Country Cleaver just released a new cast iron cooking book called Cast Iron Gourmet; 77 Amazing Recipes with Less Fuss and Fewer Dishes. And let me tell ya, she’s not messing around; the recipes in this cookbook ARE amazing! 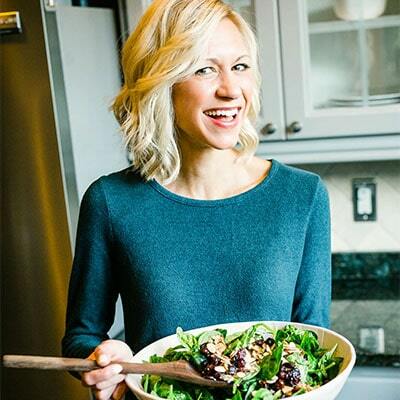 They’re easy, wholesome, simple cast iron cooking recipes for breakfasts, lunches, dinners, desserts and snacks, and many of them are gluten free and/or can be easily adapted to be gluten free. Oh, and I can’t promote the book without mentioning the gorgeous food photography. Megan knocks it out of the park! Ya’ll really need to get yourselves a copy of Cast Iron Gourmet ASAP. 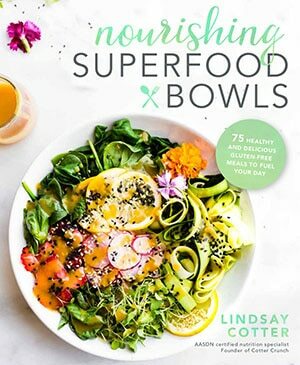 Sooner than later, because the recipes in this book will keep you cooking healthier. And healthier means happier, am I right? I cooked the easy beef stew in a cast iron dutch oven and it is divine! Everything you could possibly want in wholesome comfort food. We don’t count oil, or salt and pepper as ingredients here because they are seasonings and agents to the cooking. Keep frozen mirepoix on hand in your freezer. This French term is used to describe a mixture of equal parts carrots, celery, and onion. But did you know that placing mirepoix into 2 cup plastic bags and freezing it will save you time and freak outs when you just want a simple beef stew for dinner! The French knew what they were doing there. Freezer friendly meals and ingredients are crucial these days. Even for faux gourmet! Haha, oh la la! 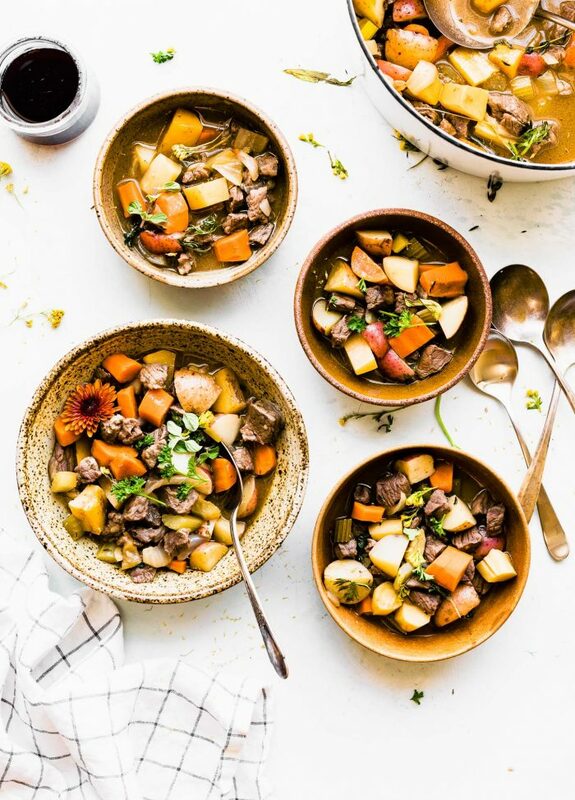 This easy beef stew comes together with just 6 simple ingredients! It’s a wholesome comfort food dinner that’s packed with flavor and real food ingredients. The beef stew recipe is gluten free, grain free, dairy free, and paleo-friendly! Preheat your oven to 300 degrees F., with the oven rack in the lower middle position. Pat the beef dry with wads of paper towels and season the beef liberally with salt and pepper. Working in batches, brown the beef on all sides. Note:Don’t rush the browning process or pull the steak away from the pan if it has not naturally released on its own. Let the beef tell you when it’s ready to flip. Moving it early will risk pulling away the seasoned beef, leaving it in the pan. Once the beef is browned on all sides, put it on a plate to the side; repeat the browning with the rest of the beef. Next, add in the chopped mirepoix and soften the vegetables, stirring them in the pan to sweat and soften. This will also act as a deglazing to the pan, pulling up some of those developed, flavory bits cooked onto the bottom. Next, stir in the chicken stock and scrape the bottom of the pan to remove any other cooked on fond. Whisk in the red wine and add the beef back into the pan. Cover the dutch oven and place it into the oven for 45 minutes to an hour. Note: If you are using leaner meat and fresh mirepoix mix, it will cook in faster than an hour. When 45 minutes to an hour has passed, remove the lid and stir in the baby potatoes and parsnips. Cover and continue to cook for another 45 minutes to one hour. Test the beef by pulling it apart with two forks. If there is resistance, continue to cook for another 20 to 30 minutes, or until the beef falls apart easily. Serve into bowls and garnish with fresh herbs, if desired. 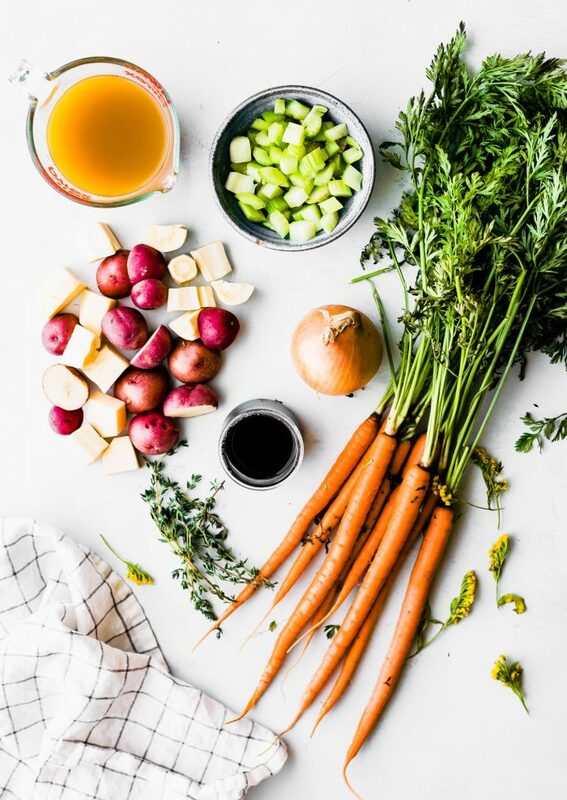 Megan’s notes – Keep frozen mirepoix on hand in your freezer. Equal parts carrots, celery, and onion all frozen in 2 cup baggies will save you time and freak outs when you just want stew! Recipe printed from Cast Iron Gourmet with permission. Minor adaptations made. 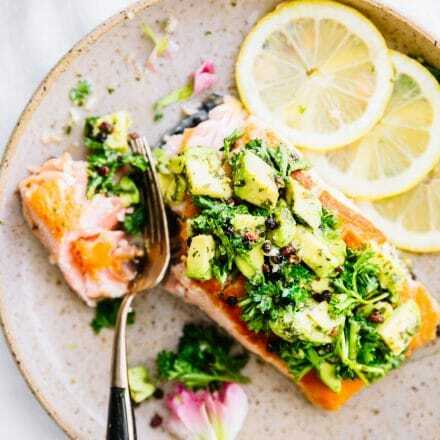 For paleo option, use refined avocado oil, coconut oil, or clarified butter for the pan. Alright my friends! Tell me your favorite way to make beef stew? Slow cooker? Dutch oven cast iron? Instant pot? I am now a dutch oven stew convert. Simple and oh my heavens delicious! Thanks for letting me gush over my talented friend (Megan) new Cast Iron cookbook! 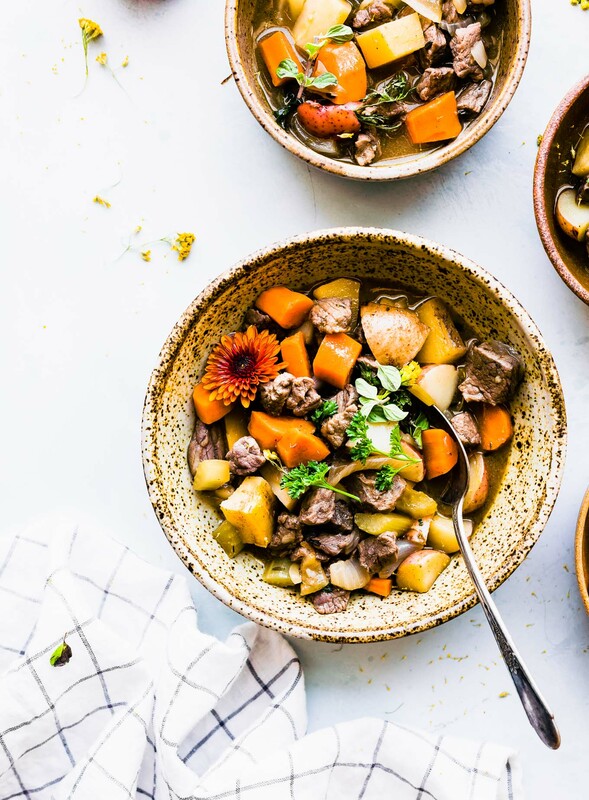 All about this beef stew – perfect nourishment for the cold winter months ahead. I like crockpot/slow cooker/dutch oven meals, for sure. I couldn’t agree more. Aren’t they just the best?! I know it’s only supposed to be 6 ingredients, but what do you think about adding mushrooms to it? Would you roast them seperately in the oven, then add them the last 15 minutes or so? Or do you think you’d add them with all the other veggies? Sure! i think adding some green beans (Frozen) last minute would be good too! 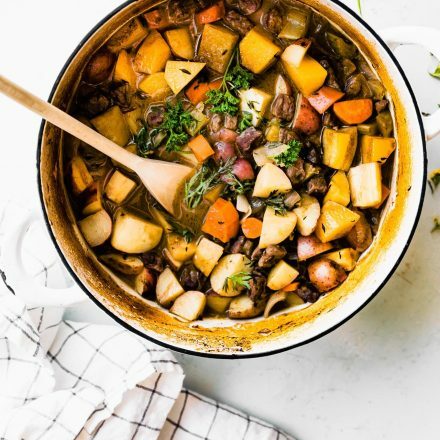 I love love Megans cookbook and this stew is on the list next! Isn’t it fantastic? You’re so gonna love. The heartiest (and yummiest) meal I ever did see! This looks utterly delicious! Can’t wait to make it! I’m so excited about how easy this is. 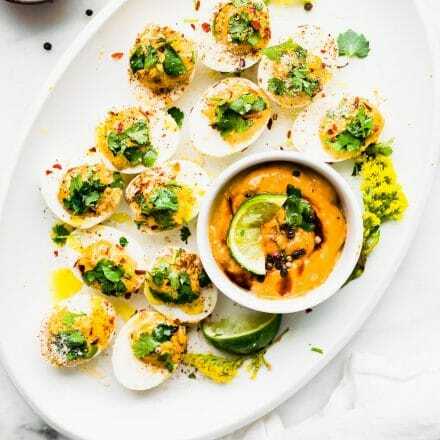 We love comfort foods like this and with the weather turning chilly this weekend this will be perfect. Bonus: my son who hates potatoes of any kind just might eat this with the parsnip substitution. Can’t wait! Hi! I don’t have a dutch oven but do have a stew pot. Any suggestions for modifications? I really want to make this!